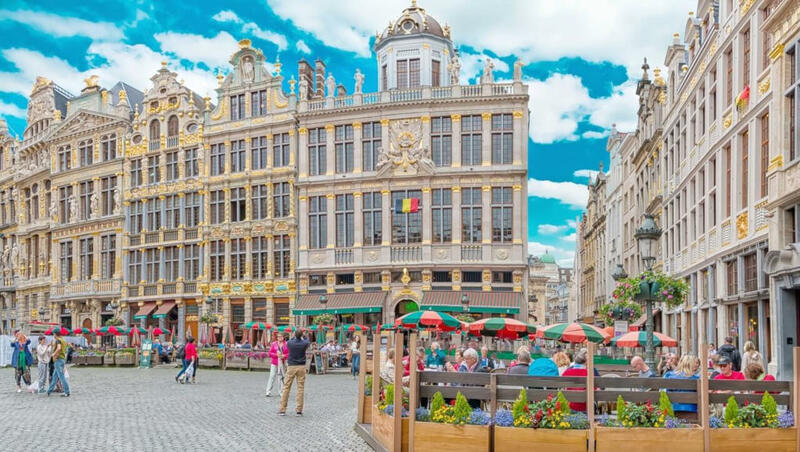 Where can I store my luggage in Brussels? Don’t get caught out dragging your bags around Brussels. If you need somewhere to store your bags while you’re seeing the sights, below is a guide to what’s on offer. Stasher's insured luggage storage connects you with hotels and local businesses that can store your bags affordably. We work with large partners like Accor hotels, Premier Inn and Holiday Inn to connect you with hosts in 100's of cities across the US, Europe, Asia and Australia. Think of it as the new, convenient alternative to luggage storage lockers and station left luggage facilities. How much does it cost to store your luggage in Brussels? We’ve handpicked the best locations near train stations and tourist attractions to ensure your storage needs are met. Most of our locations are open 24/7 or until late, to best suit your needs. Booking online is easy and confirmation is instant. We also have award-winning customer support, so we’re here to help in case you need! ✔️ Most StashPoints close late even during the week making it extra convenient if you don’t want to have time restrictions. ↪️You will immediately receive a booking confirmation email to show to your Host as well as your id. Drop off and pick up take less than 5 minutes. There are both lockers and manned left luggage facilities available, located near the Eurostar check-in point. These are more expensive than using Stasher. Important info: The train station is central to Brussels and can become extremely crowded, particularly at peak times. About: These two train stations also have left luggage storage but only automated lockers. Central is particularly convenient for popular tourist sites such as Manneken Pis and Atomium. Important info: Follow signs that say Bagagekluis Consigne to reach the left luggage area. After payment you will receive a receipt with a printed barcode; it’s essential that you don’t lose this as this is how you’ll gain re-entry to your locker.